Bix Beiderbecke (190331) was an American jazz cornetist and piano player and a jazz composer. In 1924 he recorded with The Wolverines in 1924, then played with the Jean Goldkette Orchestra in Detroit and played with Frankie "Tram" Trumbauer for an extended period at the Arcadia Ballroom, St. Louis, Missouri. In 1926, he played a famous set opposite Fletcher Henderson at the Roseland Ballroom in New York City. In 1927, Trumbauer and Beiderbecke joined the famous New York-based dance ensemble, the Paul Whiteman Orchestra. 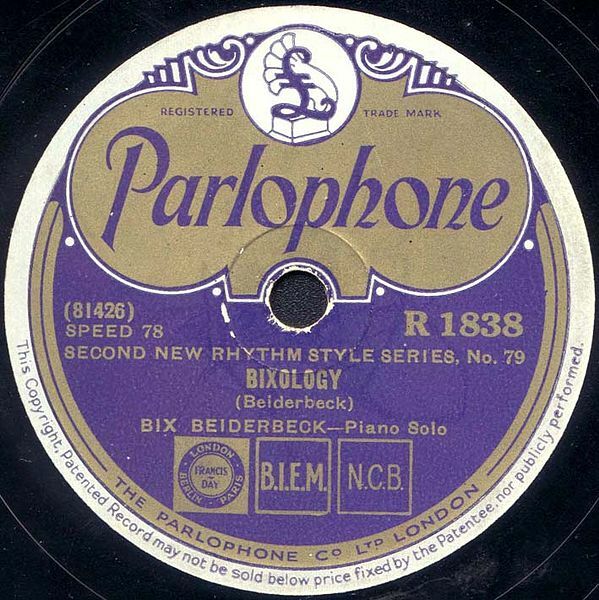 Beiderbecke is remembered for his renditions of "Singin' the Blues" (1927) and "I'm Coming, Virginia" (1927), in which he showed purity of diction and excellent improvisation. His compositions for the piano included "In a Mist" (1927). A young Bix Beiderbecke, at the age of 8, poses here with a neighbor, Nora Lasher, in 1911. 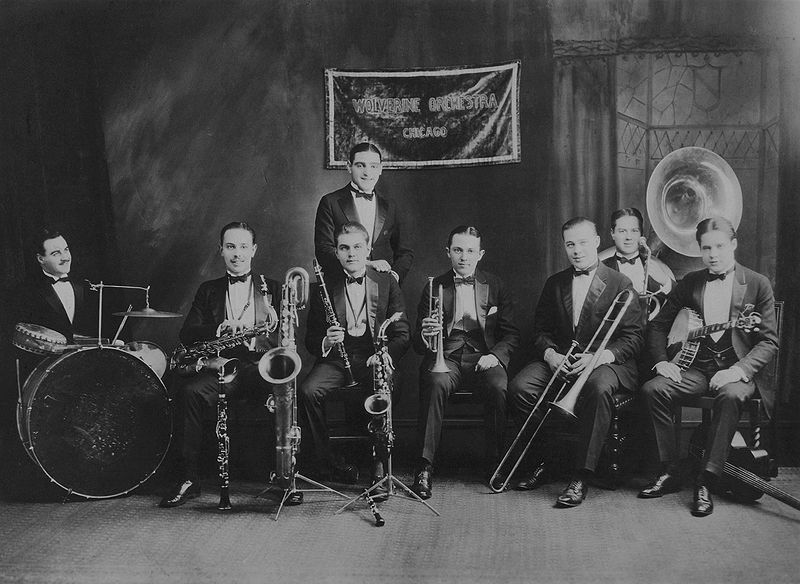 The Wolverines with Bix Beiderbecke (fifth from the left) at Doyle's Academy of Music in Cincinnati, Ohio, in 1924. Note: This picture gallery page includes drawings, paintings, photos and images of performances of Bix Beiderbecke.